What if you knew you could support survivors of sexual and domestic violence just by donating your spare change? 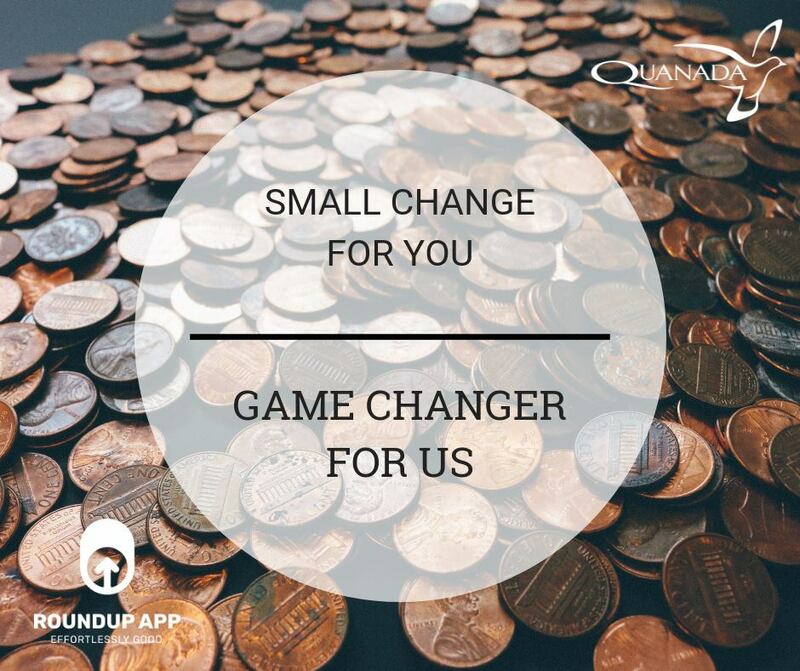 Quanada is now partnered with RoundUp to do just that - donate your change to be the change. small donations quickly add up. You don't need to donate hundreds or thousands to make a difference. ​Help a family make a new start. We are always in need of personal hygiene products (like soaps, shampoos, conditioners, toothpaste) and diapers. We also take household items and clothing. Do you have a group or organization willing to plan a fundraising event to benefit QUANADA? Take a look at our guidelines for holding a fundraiser.